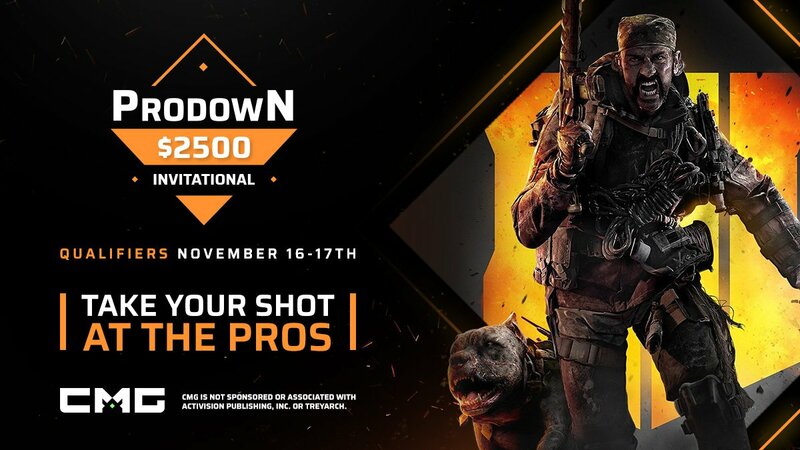 The CheckMateGaming ProDown $2,500 tournament is this weekend. With professional and amateur teams competing online for their share of $2,500. First place will take him majority of the pot at $2,000 and second place will take the remaining $500. The tournament features some of Call of Duty’s top teams including OpTic Gaming, FaZe Clan, eUnited and Luminosity. The tournament gives the pro teams an incentive to compete outside of the CWL 2k this weekend. At the same time it gives amateur teams the chance to make a name for themselves. We will update with final placements once the tournament is over.